Will The US Market Pullback Push Investors Into Gold? Ned Schmidt joins me today to share why he thinks gold and the PMs overall are ready to pop. A lot has to do with a loss of confidence in the equity markets. I haven’t listened yet, but something tells me I’m going to agree with Ned on just about everything he has to say. Yup, I agree with everything Ned said including that stocks probably won’t see a waterfall anytime soon. Like 1987, 2008 was a mid-cycle shakeout while what we have now is much more like 2000. Slow, grinding bears are the result of hopes that won’t die and the dip-buying that goes with it. A lot of people bought into the dot-com crash of 2000 and added to their permanent losses while not noticing the new bull in gold stocks. It will be similar this time. Very big gains will be behind us before the average investor notices what’s happening. Cory, most players will eventually lose their rears again. There’s no reason to expect that to change. Interesting thoughts and ones that make sense to me! Lower 1200s seems to be acting as good resistance for gold at the moment. Many factors and developments that were thought positive for gold have not come to fruition at this stage. Seasonal strength, past upward price movement following interest rate hikes, suppression of bitcoin mania, bullion and coin sales surging and so forth have proven to have little impetus in driving up the price of gold and silver. The moves to the downside in gold seem to be outweighing the moves to the upside hence gold would appear to still be in a bearmarket. Proof of this is comparison of gold against the US dollar. At the beginning of 2017 gold sat around $1200 and the dollar was well above parity – roughly $1.02. 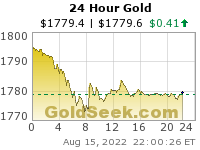 Fast forward to the present and the dollar is under 96 cents yet gold is still around $1200. If the dollar were to move towards parity again one could safely assume gold would slide towards $1100 based on the inverse relationship rule. I am bearish gold relative to the rest of the gold sector (and have been for three years), but I strongly disagree that it is still in a bear market. It’s been a deep and protracted correction since 2016 but still looks corrective in nature and not like a bear resuming its downtrend. How long does the protracted contraction continue for? The last time gold had a significant short term rise was in 2016 straight after the initial brexit news. It would seem another major black swan type event may be the only option to curtail the current downtrend. As you might know, I don’t pay any attention to news. Brexit had nothing to do with my loading up on three junior silvers (each of which went up 10x in months) at the ’15/’16 lows. The ’16 rise was short but one for the record books when it comes to gains. It was a bull market shot across the bow of the bears. Impulsiveness, volume, cycles, etc. said a new bull was here. Almost no one expected such a mean mean-reversion. The writing was and is on the wall and the ensuing correction hasn’t changed anything. The market is wearing out and scaring out everyone it can but hasn’t been very bearishly convincing, technically, so far. 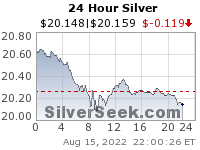 Not a good start to the week for gold and silver… yet again! Something tells me we are in for some more downside moves. Call it a hunch but it just smells iffy.